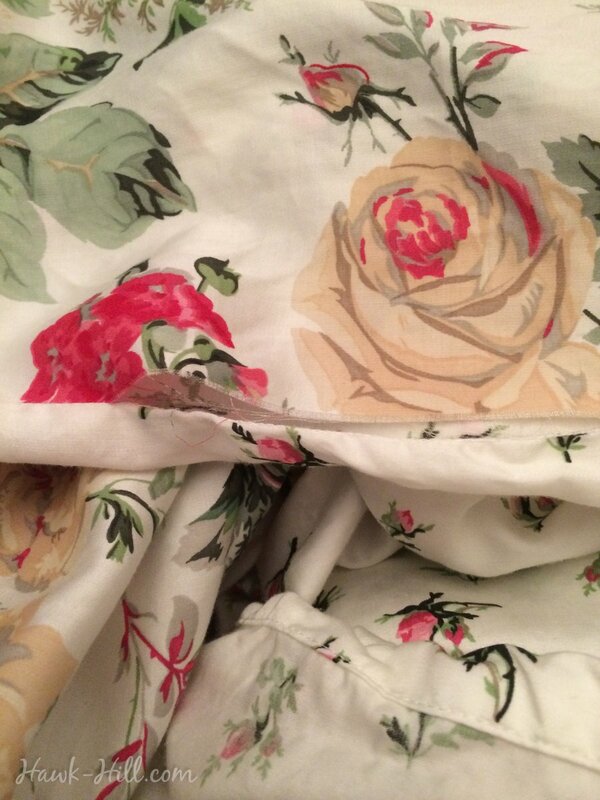 Though I only make it to Ikea about once a year, I’ve been eyeing the Emmie Blom duvet for awhile. 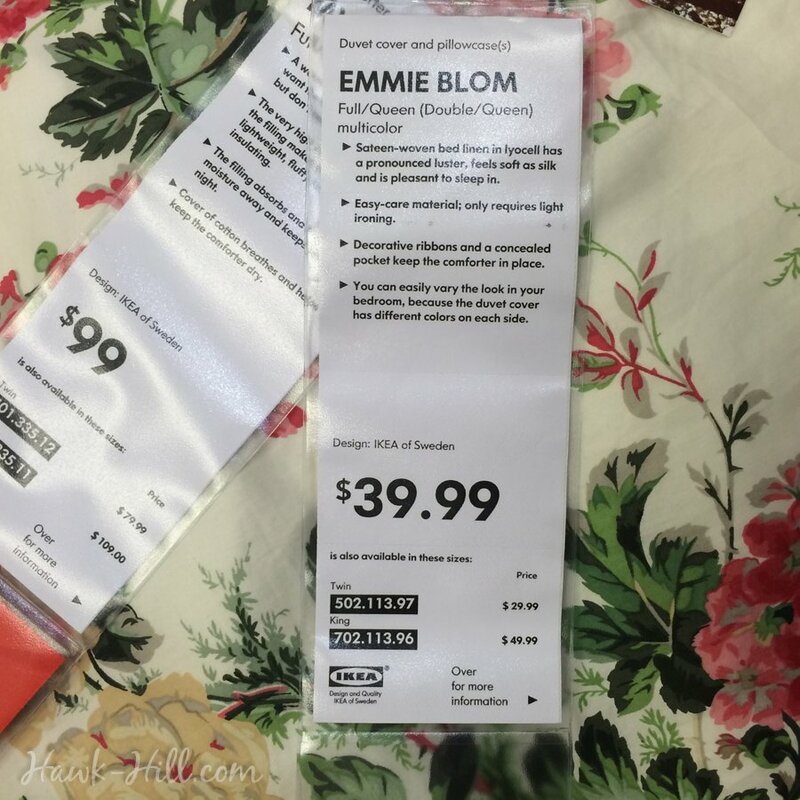 Finally, I grew tired of my Anthropologie Rosette quilt and decided Emmie Blom might be an inexpensive makeover (and make up, just a little, for my previous splurge on Anthropologie bedding). 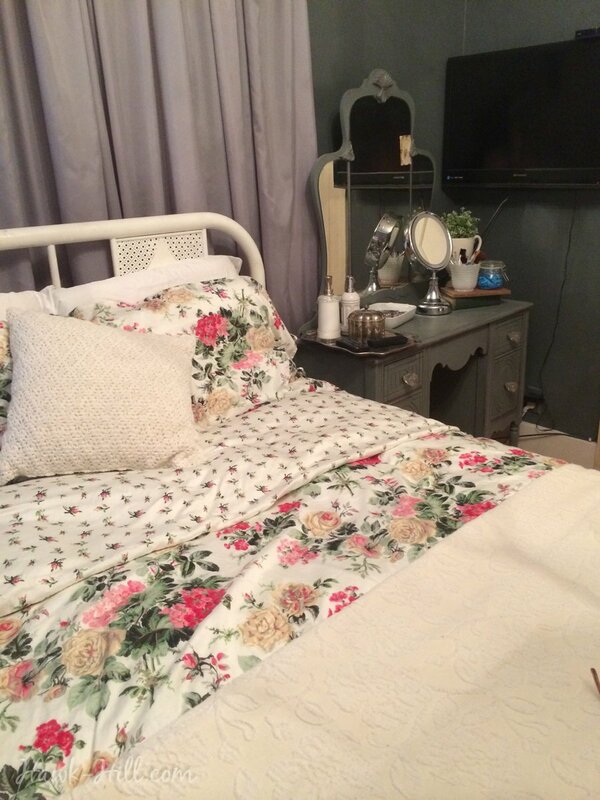 Paired with a basic matelasse bedspread and simple white linens I love the vintage, feminine look this floral comforter brings to my bedroom. 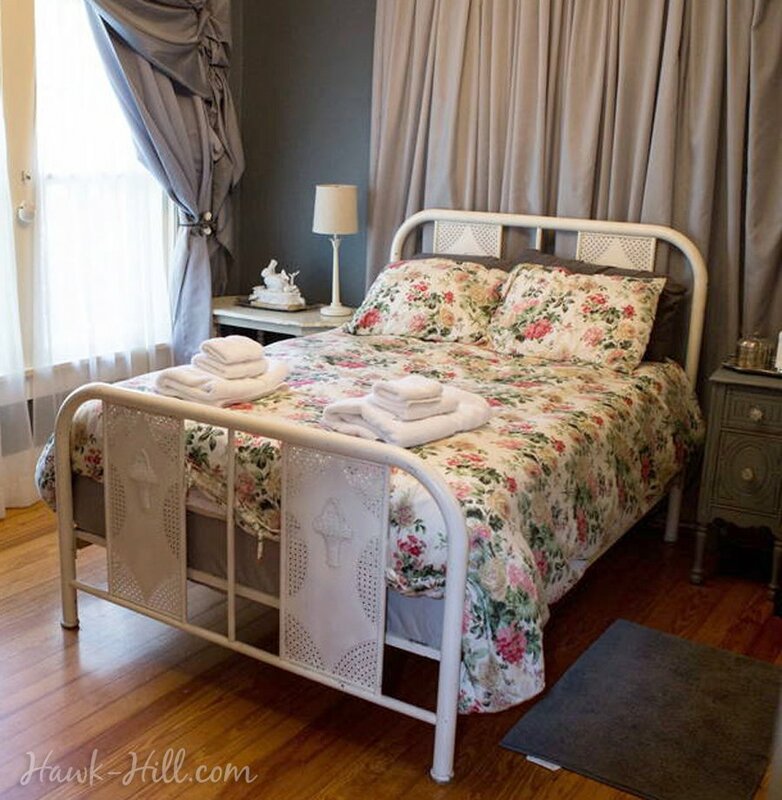 The Emmie Blom Duvet brings a soft pop of color to my otherwise monochromatic bedroom, and the the floral compliments well the vintage metal bedframe and makeup table. The texture of the Emmie Blom duvet is that of a mid-range cotton sheet- neither silky nor rough. My primary disappointment with this duvet is that upon removing the duvet from the packaging I discovered a seam ripped before I even started trying to place my down comforter inside. Ikea Duvet with ripped seam upon removal from product packaging. Ikea sheets are low-moderate in price range but, in my opinion, excellent quality. My tendency to kick my feet in my sleep means sheets tend to pill over time and use. Even luxury brands like Ralph Lauren and Laura Ashley and most styles of Anthropologie bedding pill and become uncomfortable to sleep on after a few washes. Ikea’s sheets still feel super soft and are unpilled after a year in rotation. 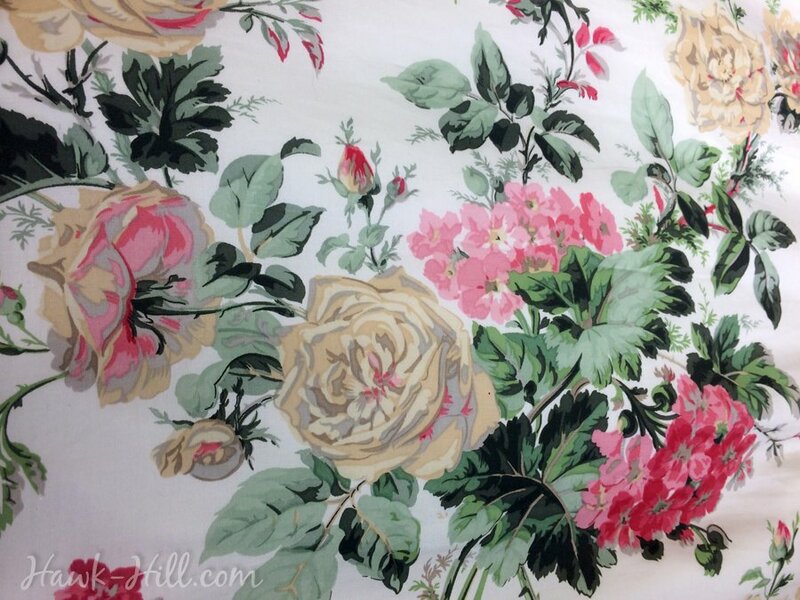 Here are a few more shots of the Emmie Blom duvet in my bedroom in Hawk Hill. 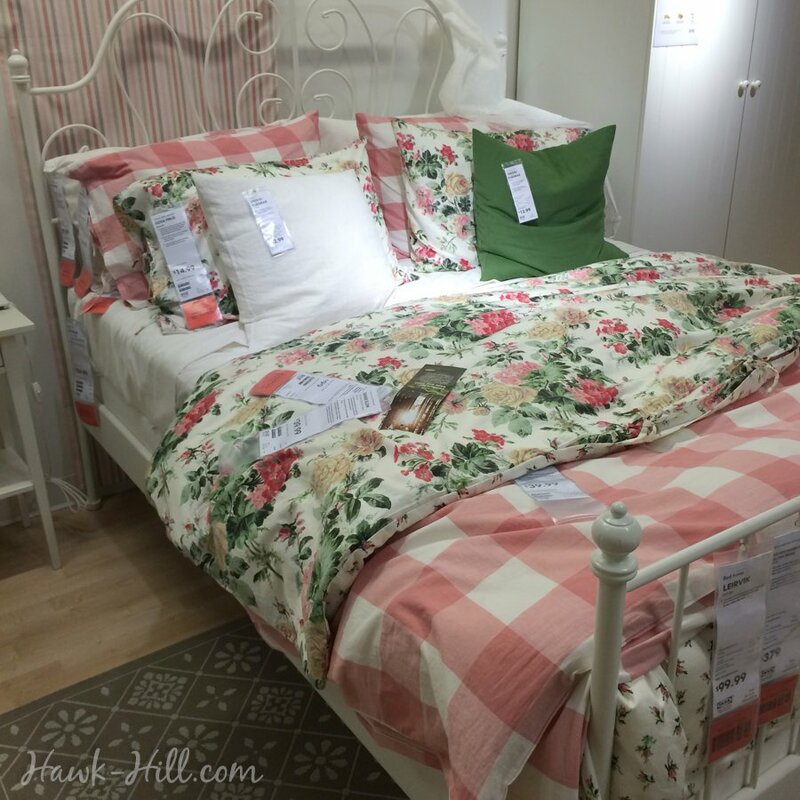 And a few photos from Ikea’s showroom in Dallas- where the floral Emmie Blom duvet is paired with a pink gingham for an even more feminine look.